Air pollution is a major health hazard: it’s estimated to lead to the early deaths of up to 500,000 people-a-year in Europe. The EU has been criticised for not being quick enough at cracking down on countries that do not stick to agreed dirty air limits. The vacuum has arguably opened the door to NGOs like Client Earth, a collection of environment lawyers who took the British government to court over its failure to stick to EU-agreed pollution limits. But what if you’re a citizen concerned about air pollution in your city and the official figures don’t bear any relation to reality? One solution is make your own air quality monitoring station. 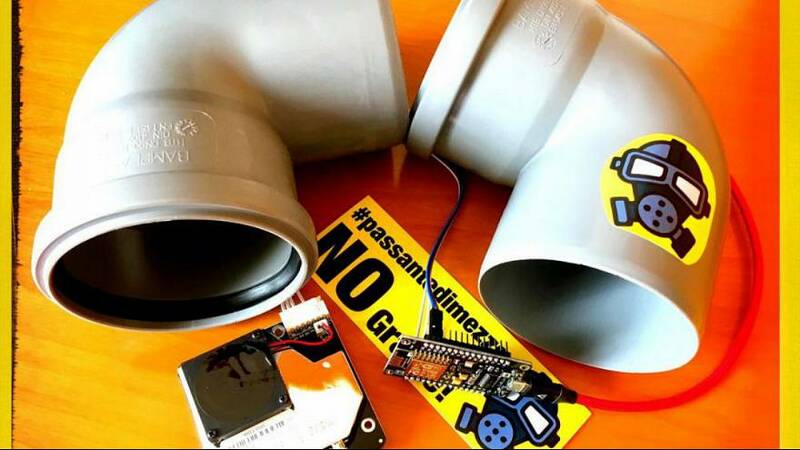 You can buy a kit online, which although doesn’t have professional sensors, will allow you to monitor values under 50 μg/m³ (pollution per cubic metre of air). This is important because some of the deadliest air pollution are tiny dust particles emitted by diesel and petrol engines. A collaborative project born in the German city of Stuttgart uses the detectors to map levels of certain pollutants. The project involves several civic hackers throughout Europe. One of them, based in Italy, extimates there are 2,700 independent monitoring stations around the world. Where can you buy the kits? On websites such as Aliexpress, Amazon or eBay. How much is it necessary to spend? The total cost is around 40 or 50 euros. The kit includes: sensors for detecting fine dust and air temperature and humidity; firmware; USB cable and power supply; waterproof hydraulic hose. There are details instructions (in French) here, use a browser add-on to translate into English. The temperature, humidity and fine dust sensors are connected through your home wifi, allowing data to be sent to the central server of the collaborative project in Stuttgart.. The data is then plotted on a map and is available to the public to download in .csv format.